While backpacking around the world, I encountered this young boy, who peeked out at me as I crossed a bridge near the Preah Khan Temple in Siem Reap, Cambodia. Day after day this blind Thai vendor weaves giant grasshoppers & crickets from palm fronds. Yet despite his circumstances & disability, he exudes happiness. Can’t get in the Christmas spirit without snow on the ground? 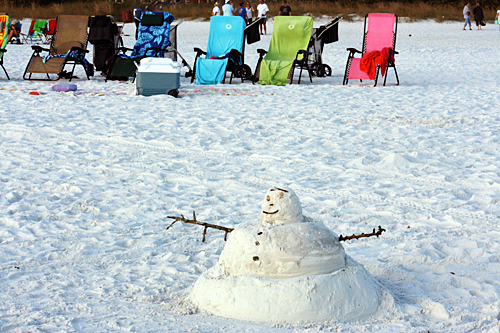 How about a snowman made from the pure white sand on Siesta Key Beach. Classic Christmas in Florida! 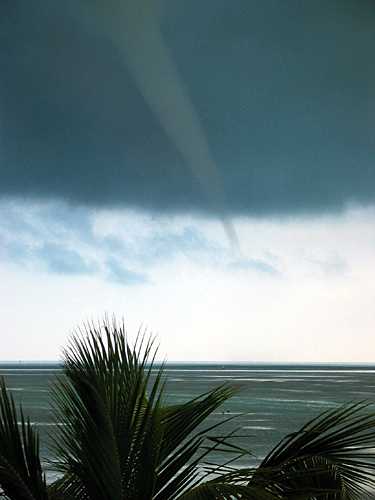 This waterspout was only there for a minute or two, just long enough for me to grab the camera and snap the shot during a trip through the Florida Keys.